They say you shouldn’t judge a book by its cover. 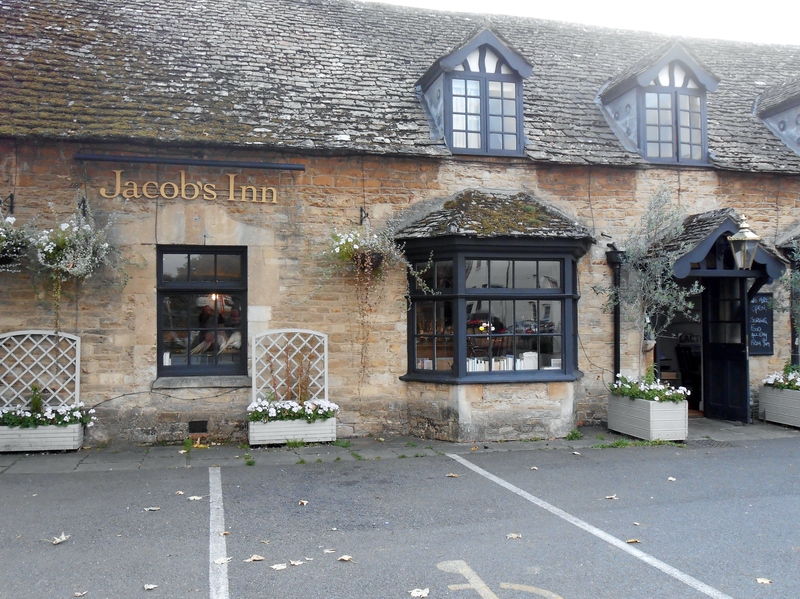 However, when I saw the Jacob’s Inn for the first time, standing pretty in the evening’s fading light, in the middle of the oh so charming village of Wolvercote, I liked the cover so much I hoped for enchanting culinary tales inside. 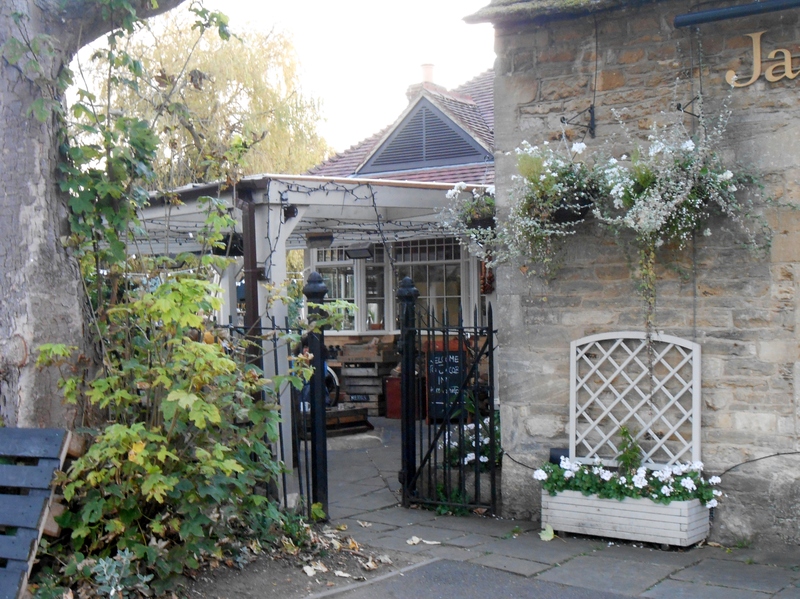 Once upon a time, the Jacob’s inn only existed in the heads of Damion Farah and Johnny Pugsley, owners of Jacobs & Field, the delicious delightful deli in Headington. The story of the inn started in 2013 when they purchased the pub to serve “honest rural cooking and locally sourced meat” as they say on their website. Judging by how full the pub was when I went and by how everyone I spoke to had already been, I would say the story is morphing into a best seller. The inside of the pub matches the outside. The decoration is sober and very tasteful, woody and cosy, warm and welcoming, altogether very consistent. I have not been outside but the waitress told us they were keeping pigs at the back of the garden so the food cannot be any more local than that! When I arrived in England some 15 years ago, I wished upon a star that food would get better and a more joyful affair altogether. Dining in the Jacob’s inn yesterday amid what looked like a lot of happy (as opposed to drunk) people, I thought that my wish had been granted. In fairness, it’s not just the Jacob’s inn. I have eaten in many good pubs since I have started this blog and the standard of food in England has improved tenfold since I arrived. Still, the Jacob’s inn is special as it has a different menu from others in its category, with many dishes done on the grill. The chorizo burger I had came with coleslaw and rocket that complemented it perfectly. I could be flowery about describing how it all tasted but I won’t. There is only one word that describes the food we had during the evening and that’s flavoursome. Flavour is what I have really missed along my years here so thank you Jacob’s inn for bringing it back to the table, where it belongs. For the dessert, I would add the word subtle to flavoursome. The tarte au citron was perfection, not too sweet, not too lemony, not too pasty. It had a delicate balance of flavours and textures that I admired with each mouthful. If it were a book, the Jacob’s inn would not just be a best seller; it would also be a critically acclaimed prize winning book. I was excited about going there once, and it made me want to come back for more. I guess that sometimes it is ok to judge a book by its cover.